The winter forest has become quiet, covered with snowdrifts, but soon it will be time for a dull winter and a merry sunny spring will come, then summer, then autumn and so on in eternal circle. Time changes everything, even nature in its annual renewal changes: trees grow taller, die and others grow in their place, water bodies dry out and river beds change. For 73 years there is our Prioksko-Terrasny reserve. The cutting sites of the Great War are already overgrown with majestic pines. The roe deer, wild boar, spotted and red deer, introduced in the mid-twentieth century, perfectly settled down in our places. Soon after the establishment, several pairs of beavers were released in the reserve. In the sixties, the number of moose increased dramatically – then in our territory there were more than four hundred of them. For comparison, today only 12 elk live in the reserve. The reference piece of the Moscow area nature lives by its own laws, without human exposure – a rare experiment in such a densely populated, urbanized area. Now it is difficult to imagine these places immediately after the organization of the reserve – very few photographs and film materials have been preserved since those times. 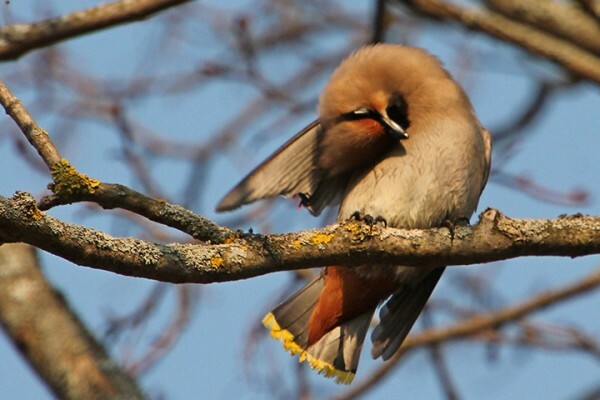 Even in the modern world of digital technology, there are not too many high-quality and professional films and photographs of the nature of Russia. In 2016, by order of the Prioksko-Terrasny Reserve, the shooting of a new documentary began. The project participants worked for a whole year, collecting materials about the secrets of the life of the protected forest and its inhabitants. After a year of hard work from dozens of hours of filming and sound recordings, an entertaining story about the nature of the reserve appeared, covering all seasons. 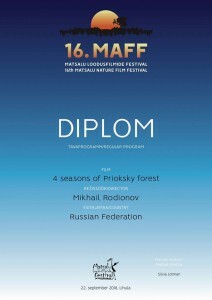 Therefore, the film was named «4 Seasons of Prioksky Forest» He became an excellent portrait of the nature of the southern Moscow region, interesting for contemporaries and invaluable for posterity. Many wild inhabitants of the reserve got into the picture – cautious, secretive, whose life is far from prying eyes. The reserve staff helped make the tape scientifically reliable and exact. 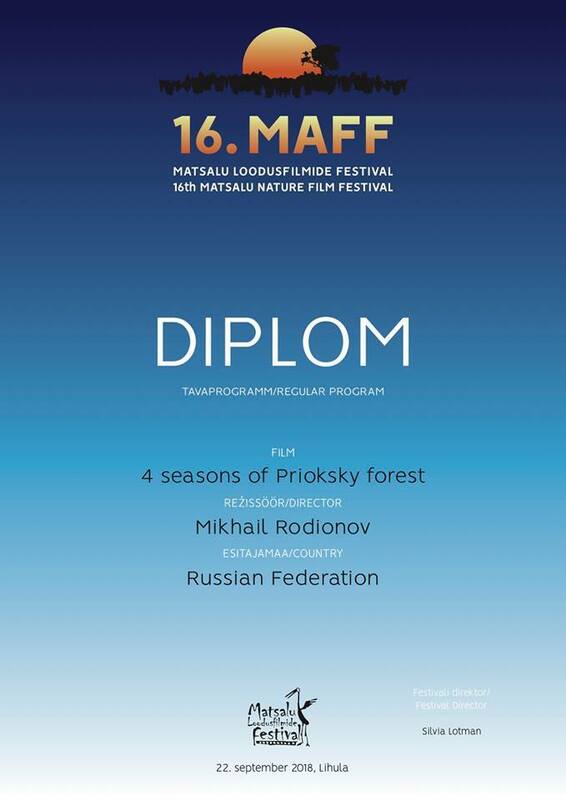 The film «4 Seasons of Prioksky Forest» was well received by the qualifying jury of Russian and international film festivals and was honored to represent the protected nature of Russia. 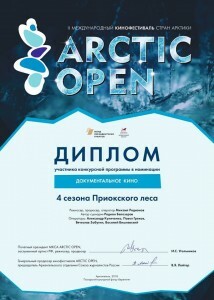 The film took part in the XIII International Film Festival «World of Knowledge», among 28 popular science and educational films from Russia, Belarus, France, Italy, Switzerland, Germany, USA, Chile, Canada and other countries. 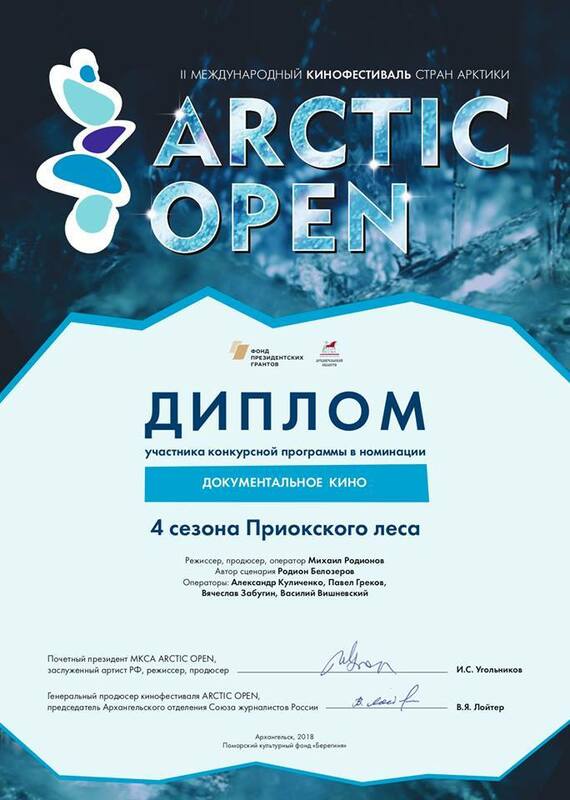 On April 13, 2018, in St. Petersburg Planetarium, the results of the Eighth All-Russian Ecological Film Festival «Meridian of Hope» were summed up, where the film won the audience’s sympathy prize. If you haven’t watched it yet, then do it! And if you have already seen, it is always nice to reconsider it again! The film is always available on our channel.